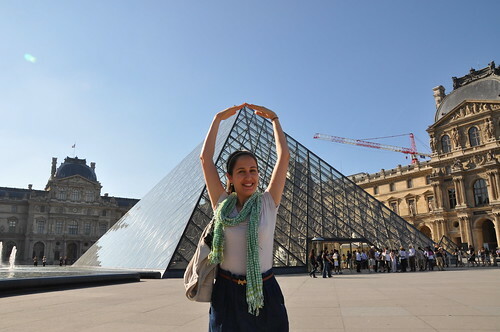 On our last day in Paris, we finally went to the Lourve. The queue was too long on Friday afternoon and we had slept in on the Saturday morning, so Sunday morning was the day to go. 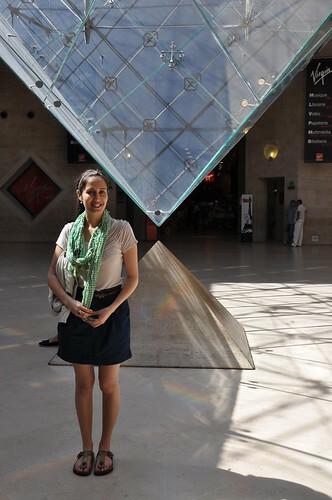 The glass pyramid that holds the main entrance to the Lourve is a modern monstrosity compared to the palace buildings around it (it was built in 1989). But it is also so iconic with its 21m high stainless steel frame. 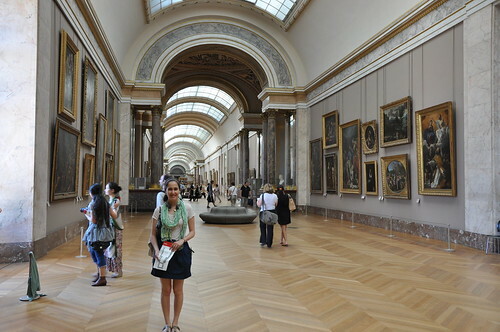 These buildings are just massive and the walls are smothered with art. The sheer size and scale of what was a palace is astounding. This is just one wing and there are at least 8 of them the same size. Phenomenal. 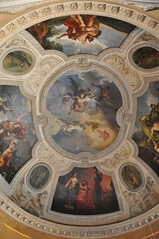 The decorative walls and ceilings from those palace days are still in place and maintained as well. Stunning and gilted. 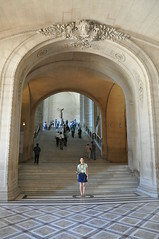 But of course, we weren’t there to gaze at the building itself, but some of the art inside! And we say only some, because there are tens of thousands of artworks in total. 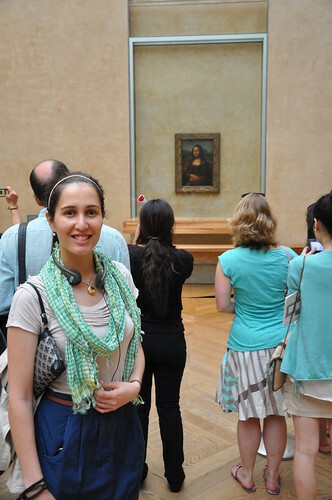 We decided to just have a short list of items to see, starting with the infamous Mona Lisa. 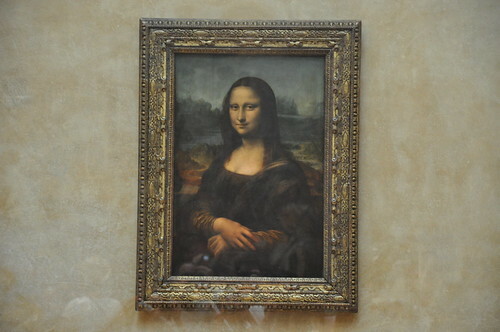 Arguably, its the most famous painting in the world. Leonardo da Vinci painted it in 1503 and it demonstrates Leonardo’s mastery of two techniques: chiaroscuro, the contrast of light and shadow, and sfumato, subtle transitions between colours. Because it was the first thing we went to see, there was actually space in the room to see it! The second artwork we went to see, which I remember Matta explaining a bit to me last time we were here, was The Raft of the Medusa. 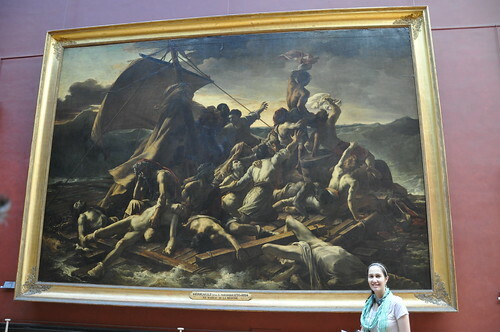 In 1816, there was a shipwreck that inspired this early Romantic painting. It depicts the moment the survivors spot a small sail on the horizon. The third painting of note that we stopped at was Gabrielle d’Estrees and Her Sister. A cheeky picture which is more symbolic than actual – Gabrielle on the right is probably pregnant. There were some other amazing paintings we saw too, like The consecration of the Emperor Napolean I and The Lacemaker, but that’s too much for this blog post. Onto the statues! 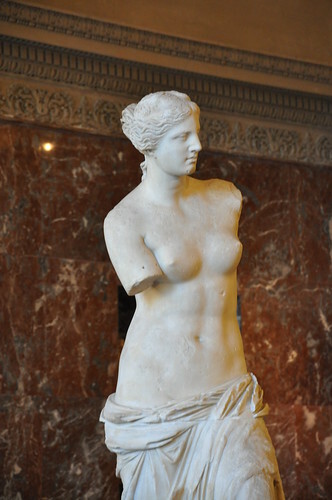 The first statue we saw, and the most famous at the museum, is the Venus de Milo. This is a Hellenistic statue that dates from the end of the 2nd century BC, though originally scientists got it wrong and thought it was from the 4th century because of the style and shape of the feminine torso. 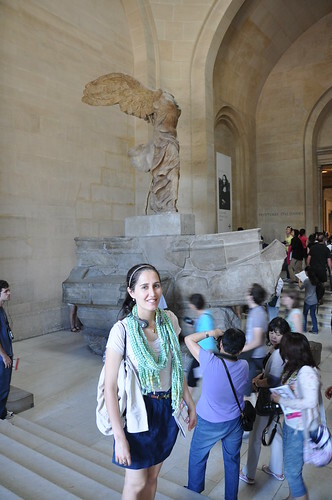 Another statue we saw was The Winged Victory of Samothrace – a Hellenistic treasure from the 3rd-2nd century BC and stands atop a stone ship. Its quite magnificent at the top of a stairway. The final statue we saw of note was the Psyche Revived by Cupid’s Kiss. 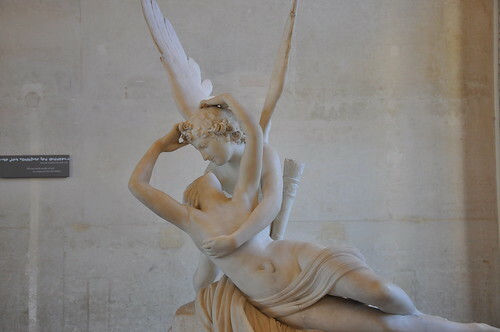 This statue tells the story of Psyche and Cupid, where Cupid is awakening a lifeless Pysche with a kiss. 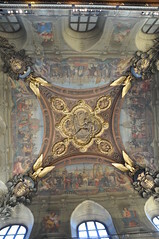 It is a Neoclassical piece from the 18th century – a stunning sight to see. The final statues we visited were the most impressive – Marly Horses. They were also made in the 18th century for Louis XIV. The horses are rearing and being restrained by horse-tamers standing up on the podiums up high. 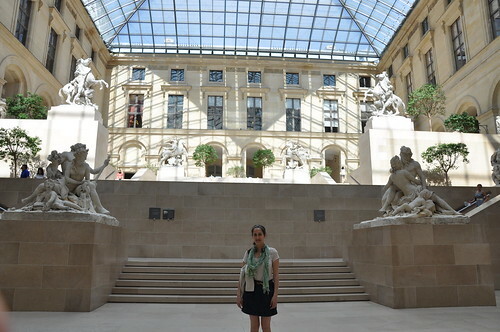 The area they’re in is designed to provide natural lighting but still protect the statues from the abrasive city air. It was a lovely area to sit in for a while. 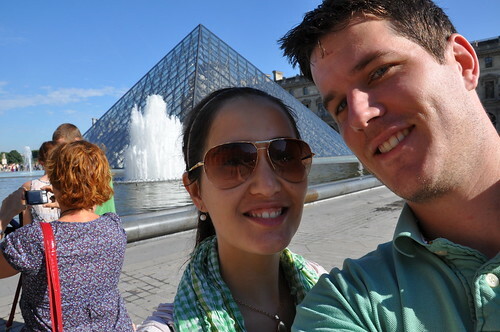 We had a wonderful morning in the Lourve, but it was about as much as we could stand. Without having the context of the artistic periods or history of the regions they’re from, we were missing half the story with these works. Maybe we’ll come back sometime having read up on a particular period, perhaps, and see if it means more. Until then, there’s always the movie references. It’s a pretty overwhelming experience quite definitely, but an amazing experience as well, yes. Tens of 1000’s of artworks. The architecture of the ex- palaces are beautiful and so decorative. So stunning to see!